Full MLS Service! Why Pay More? Burnaby is a great place to live, learn, work & play! The city is committed to strengthening their overall well-being & growing into the future as a livable, vibrant & sustainable community. For people wanting to be close to Vancouver, Burnaby is the perfect location if your thinking of buying a home. 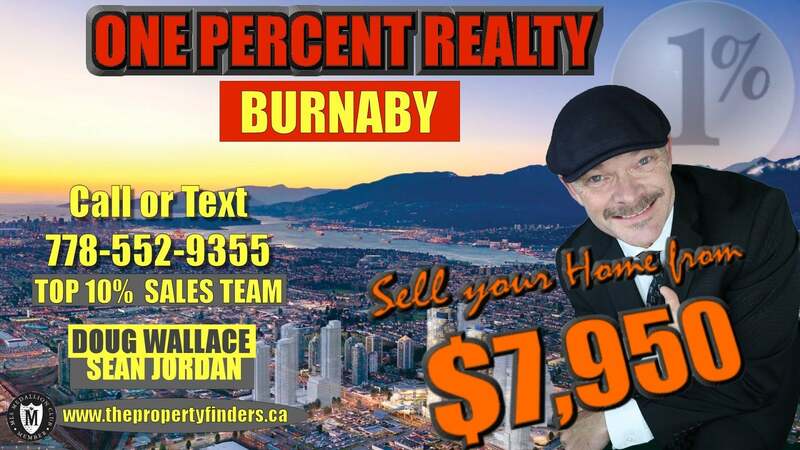 Whither your thinking of selling your Burnaby condo, town home or single family home, let One Percent Realty Burnaby show you how to put more money in your pocket! Plus Our 100% FREE Home Buyers Service! See All Burnaby MLS listings Bellow - Even Homes Not On The Public MLS System Yet!